This intersection in NYC at Bedford Street, East Houston and 6th Avenue has changed considerably over the past 10 years. It started as a small concrete pedestrian island, with two trees on it. In the mid-1990s this became the home of a group of homeless people. To prevent them from camping under the trees a flower bed was created, you can just see the brown patch under the trees. 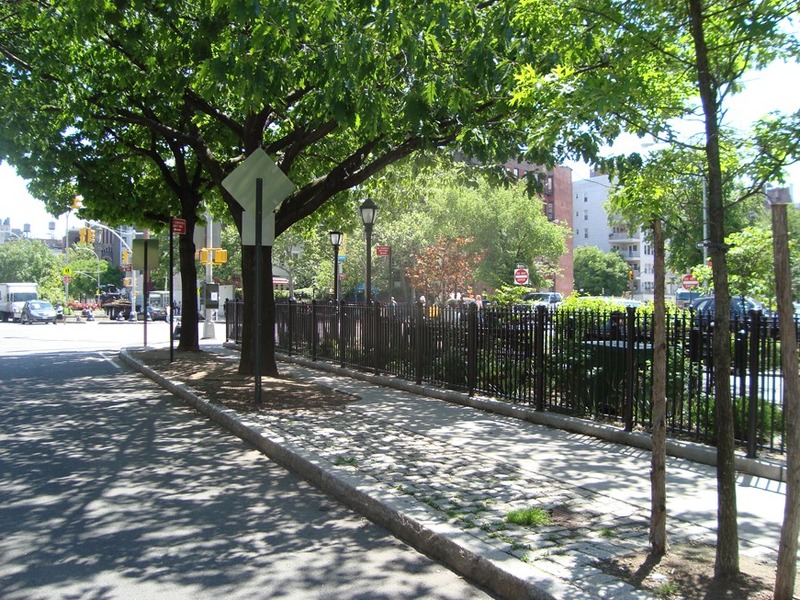 In the mid 2000s the whole area was redesigned as a pocket park with metal fence and low-maintenance shrubbery.